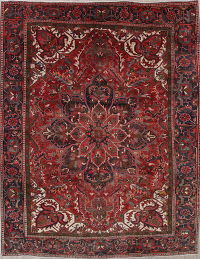 OUR PHONE NUMBER: +1-980-422-4080 Persian Rugs! If you are familiar with Persian rugs, then you already know there is nothing quite like them. They’re known for being breathtakingly beautiful, expertly constructed, durable and very high quality. 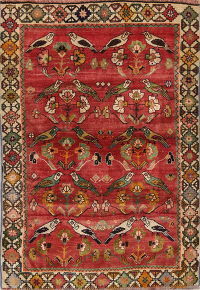 Depending on a variety of factors, such as age, size and artisanship, a Persian area rug can be worth thousands or millions of dollars. 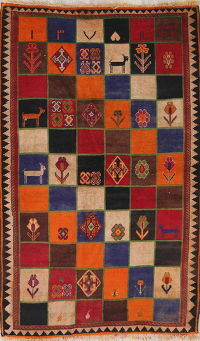 Traditionally, Persian area rugs are handmade and top quality. In fact, many rug connoisseurs consider Persian rugs the finest Oriental rugs on the market, but that is really a matter of personal taste, as we offer many other kinds of affordable, beautiful rugs. 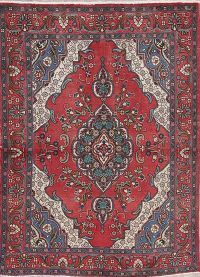 While traditional Persian rugs are made by hand, less expensive, machine-made rugs are also available. If this is your first time shopping for Persian rugs for sale, you may be nervous about your upcoming purchase. There is no reason to be concerned, however, because the sales experts at Rug Source will help you during every step of the buying process. From determining which rug will work in the space you are shopping for to picking a color scheme to finding cheap rugs at the right price point and more, we are here to serve you. Guide to Buying Persian Rugs To help you purchase a Persian style rug you will love for years to come, we have put together a brief guide you can refer to during the buying process. If you have questions about the information we have provided or a topic that’s not covered in our guide, we encourage you to contact us at RugSource.com. We are always happy to answer any questions you have because we want you to make an informed purchase you will be happy with. Here is our guide for buying Persian rugs: Background: Persian rugs are produced in Iran, the country that makes about 75 percent of the world’s hand-woven rugs. 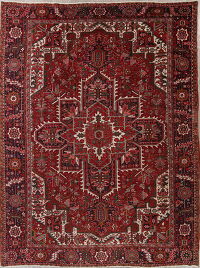 A Persian rug is distinct from rugs made in other countries based on the knot used in the rug’s construction. 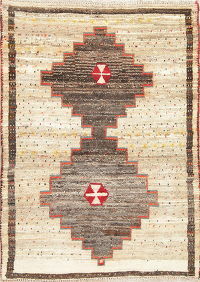 Larger rugs are referred to as Q-li or Farsh while rugs that are less than 6 feet by 4 feet are called Qa-licheh. 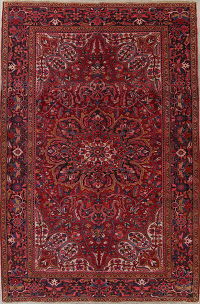 Persian rugs usually have a rectangular shape, but round ones are also available. 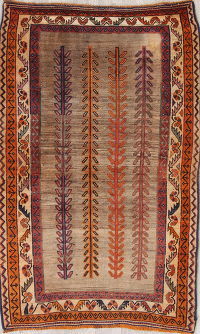 You will see rugs in many different colors, and they boast a wide array of nice-looking patterns and designs. 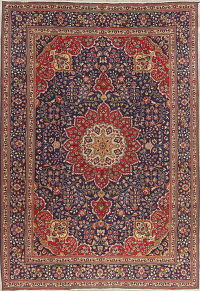 Many of the designs you will notice on Persian rugs have been handed down from generation to generation. There are four primary patterns that are used to make these rugs, including an allover pattern, a central medallion pattern, a compartment layout and a one-sided pattern. 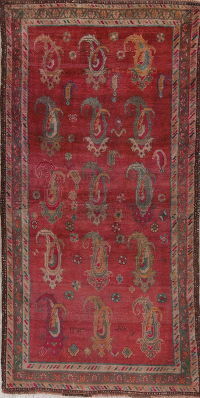 The motifs on Persian rugs indicate the specific regions where they were produced. 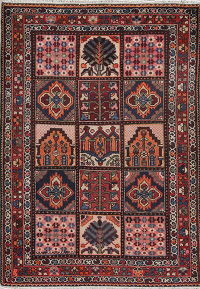 Genuine Persian Style Rugs: One of the biggest concerns many people have is whether a given Persian rug is genuine. 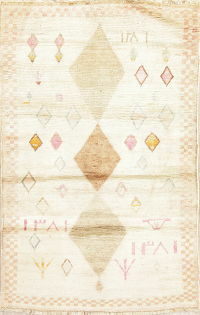 To determine if a rug is vintage, you should look at its label and patterns, as well as the knots used to make the rug. In some cases, where you buy a Persian rug is almost as important as the rug you buy. You should invest some time in finding a dealer you trust and one that will thoroughly explain the options are available to you. Rug Source has been helping homeowners, businesses and designers purchase Persian rugs for more than 10 years and we will be happy to help you, too. Contact us now to get details about our ongoing rug sale, where you can get up to 80 percent off retail prices. Save up to 80% off retail prices. No hidden charges or restocking fees. Free Shipping on All Purchase 30 Days Risk Free Trials Best Quality Of Oriental Rugs Expert Customer Service Lowest online price guaranteed! Do you want sweet extra discount? !.